To improve services, local governments can no longer build their own computer infrastructure and operate it inefficiently. 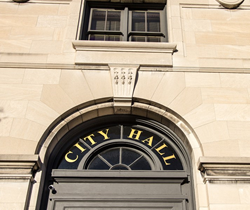 A NYC area government technology consultant and MSP surveys the local government IT landscape and the forces prompting civic leaders to move government applications to the cloud in a new article on the eMazzanti Technologies website. In the informative article, the company explains the cloud in simple terms and discusses how it reduces costs. The need for data security and compliance measures are then discussed. eMazzanti Technologies specializes in providing local government managed IT and cloud services. How does the cloud reduce costs? Moving local government applications to the cloud requires careful planning. Fortunately, eMazzanti Technologies offers pre-migration assessments for municipalities looking to do so. Its government IT experts will assess needs and potential benefits to ensure the results civic leaders want to achieve. The process is like that for any other business. They thoroughly consider needs (safety, snow removal, permitting, legal services and taxes, etc.) and customers (residents) to optimize infrastructure and cloud solutions. To increase the security of personal data, eMazzanti Technologies also urges citizens to attend local government meetings to ask questions and to make their data security and privacy concerns known. eMazzanti’s team of trained, certified IT experts rapidly deliver government, retail and payment technology, digital marketing services, cloud and mobile solutions, multi-site implementations, 24×7 outsourced network management, remote monitoring and support to increase productivity, data security and revenue growth for clients ranging from law firms to high-end global retailers.